Mass shootings in a Christchurch mosque on Friday afternoon, where players of the touring Bangladeshi Test side were present, has sent shockwaves in the cricketing fraternity. All players, along with the support staff, were able to escape unhurt. The third Test, scheduled to start on Saturday, has been cancelled. The same was announced by the New Zealand Cricket Board. Through Twitter, the Bangladesh Cricket Board acknowledged the safety of its players. 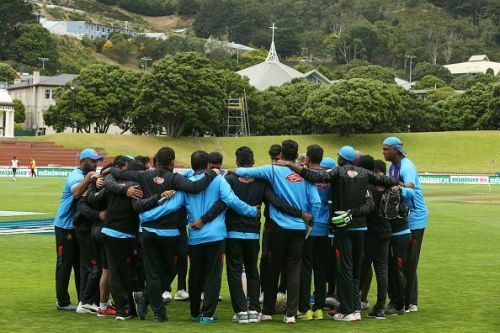 “All members of the Bangladesh Cricket Team in Christchurch, New Zealand, are safely back in the hotel following the incident of shooting in the city. The Bangladesh Cricket Board (BCB) is in constant contact with the players and team management,” the tweet read. According to reports, the team was outside the mosque near the Hagley Oval, venue for the third Test, when shots were fired. They managed to escape through the stadium, taking refuge in the dressing room, before safely returning to the hotel. Australia's U-19 women's team, on their tour to New Zealand as well, was also staying in the same hotel, and are confirmed to be safe. The cricketing fraternity came together at this difficult time, expressing their sympathies for those who have suffered, through Twitter. Really sad to hear the news out of Christchurch !!! Thoughts and prayers with everyone. Stay calm ... stay strong everyone !!! Very shocked to hear about the shooting at Christchurch in New Zealand. Thoughts with the affected families. My prayers and thoughts are with the martyrs and their families. thank god the #BangladeshCricketTeam are safe.